PSI Provides Compliance Solutions for Local Authorities and Housing Associations. We have over 20 years experience of providing compliance solutions for a large portfolio of properties. Our aim is to provide integrated compliance solutions. Our key signature applications are Asbestos Management Suite and Fire Management System. 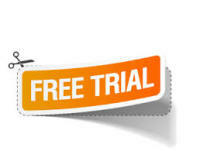 For a quick demo, please book yourself on one of the free webinars or contact us for a no obligation 45 days free trial. All of our applications are hosted in the secure cloud. PSI2000 was established in 1997 as result of a Management Buy Out from 3i Group. We work in small and agile teams. We value experience and people with innovative ideas. We are proud to have a work culture that has encouraged people to stay with us for a current average 8 years. We are keen users of Visual Studio, Visual Studio Online, SharePoint, Windows Azure, Windows SQL Azure and Telerik and we use the agile methodology for our development. We want to make PSI into a software solution provider with a personality. You won't get impersonal service from us; we strive to give passionate expertise. This is something we want to keep a hold of even whilst growing. Our main assets are our relationships with our clients, our people and our knowledge. We know that we have to work hard to gain and keep your trust. We are that company that never stops learning and improving. PSI has been partnering with more than 70 organisations since 1997. Our successful journey would not be possible without the continuous support of our loyal customers. Thank you for investing your trust in us.